All eyes were on Chicago Bears kicker Cody Parkey on Sunday night when his last-second 43-yard field goal attempt missed, resulting in the Bears being bounced from the first round of the NFL playoffs by the Philadelphia Eagles. As all angry and intoxicated fan bases do these days, the Bears faithful flocked to Twitter to collectively place the blame for the team's loss on Parkey's errant kick (slowed down footage later revealed that the ball was tipped by Eagles defensive tackle Treyvon Hester). In response to the vitriol, many fellow players and celebrities came to Parkey’s defense, including model and author Chrissy Teigen. Goose Island Beer Company came up with a more creative way to show support for the beleaguered kicker. On Monday, the Chicago-based brewery announced via Twitter that it will construct a goal post in front of its Fulton Street brewery to allow Bears fans to experience firsthand just how hard it is to to kick a 43-yard field goal, with a referee on hand to call each attempt. Anyone who is able to successfully kick a 43-yarder on their first attempt will win a free case of beer, chosen by Goose Island, every week, for a year. There are a few stipulations attached to the prize: Winners will need to pick up their free case at the Fulton Street brewery each week and they shouldn't expect to find any of Goose Island's coveted Bourbon County Brand Stout in their weekly allotment. 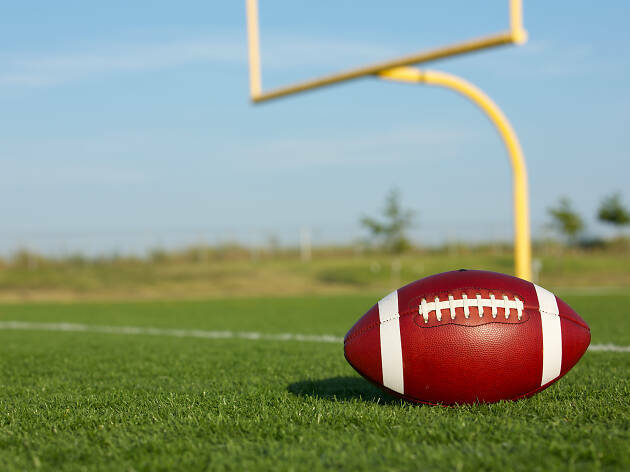 If you think you have what it takes to kick a 43-yard field goal, you can sign up in front of Goose Island's Fulton Street brewery beginning at noon on Saturday, January 12. Spots are limited and the kicking will begin at 1pm, so arrive early and don't forget to warm up your leg. As it turns out, you can't give away free beer in Illinois. Instead, Goose Island is expanding the scope of the field goal competition and giving away NFL tickets (including a trip to the Super Bowl!) instead of boxes of beer. 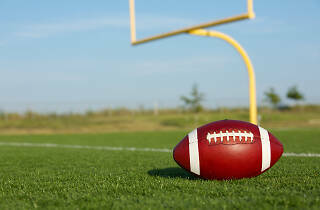 According to the contest's official rules, the first 100 people to register for the challenge will be able to attempt a 43-yard field goal. If they nail it, they'll earn a chance to kick a 65-yard field goal. Hitting the 43-yard field goal will win you two tickets to any 2019 regular season NFL game, but making the 65-yard field goal will get you two tickets to Super Bowl LIII in Atlanta, complete with round-trip airfare and hotel accommodations.